Beautiful Incentives: Starlooks Starbox Subscription! October 12' un-boxing. 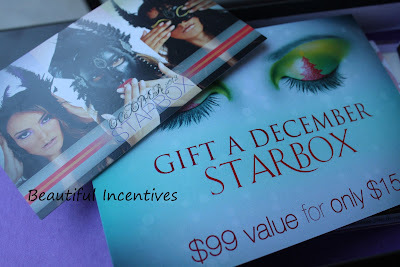 Starlooks Starbox Subscription! October 12' un-boxing. I have become a huge fan of subscription boxes as of late. 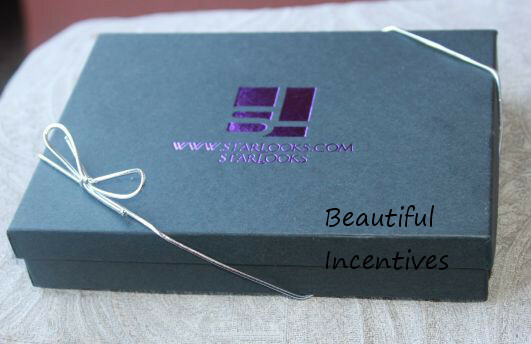 Especially the ones that deliver quality, and Starlooks Star Box is no exception. This was an impressive box for the price it is offered at the moment, which is only $15 for a $99 value! There are so many high priced boxes that "surprise" you with sample packs. I am talking not even bottles, but those little packets that you get for free via company sign ups, during their giveaways. I once saw a glorified zip lock bag in one. A zip lock with some atrocious generic design, which apparently warranted a price hike of several dollars. Moving on to the finer things in life. Starlooks provided me with their October Star Box. It contains a beautiful set of full size products. 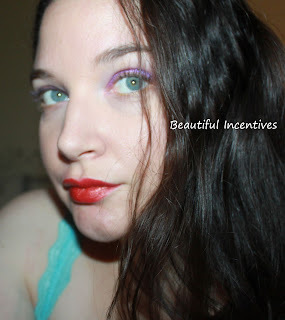 A lipstick, shadow, eyeliner, artful pictures, an eye tattoo, and a mini set of iridescent stones. All wrapped up in a pretty box that was a piece of art on it's own. The best part about this subscription box? You can purchase PAST boxes for $25. Not as cheap, but still a good deal. In addition, you can purchase any products you want from any box, separately! I love that and it's definitely something that sets itself apart from the rest. Subscription boxes are getting better and more varied and this excites me. I am so much more likely to buy a product when I can try it out and really get a good feel for it. Otherwise, I would be risking money I don't have to try a product that may not be right for me. These boxes are in-genius for marketing and consumers, I tell you. It's the best thing since the dollar store chains! If you'd like to learn more and check out the latest beautiful box they have in store for us, visit their website and try not to go gaga over the eye candy. I cannot wait until the unveiling of the December box! I was provided with this product for the purpose of review and was not compensated for my contribution. These colors look great on you! Thanks so much Alison. I was iffy about the gold, but I actually really like it. Great review. Love the colors! I think there are some neat things there. I think my 2 favorites would be the eye tattoo's and the crystals. The fact you can buy past boxes is super also. 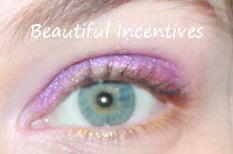 I love the eye tat and there are sooo many things I want from past boxes. Great review!! I love that purple shadow on you! 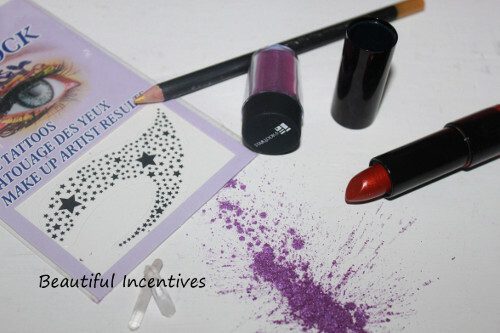 I love the eye shadow, i can't wait to try Starlooks! I love Octbers box! Such beautiful and bold colors! Starlooks makes great stuff, and the box is an awesome deal! Great review! Visit Brie Snyder's profile on Pinterest. Get Cash Back every time you shop!